On social media, increasing audience engagement is like keeping the attention of a two-year-old. There’s so many things published each day that we’re often “on to the next” before finishing the content in front of us. So as a brand, the social competition can make it feel impossible to keep your audience engaged and focused. You can’t expect everyone to like what you post on social media, but there are ways to stay current and relevant by posting content viewers will want to read. Before we get too far into what makes up this content, let’s actually look at what defines audience engagement on social media. Audience engagement is a marketing process that guides potential and current customers to take actions whether it’s clicking a link or signing up for a trial. Successful audience engagement will lead prospects through the marketing funnel and keep them coming back. On social media, audience engagement can be defined as clicks, impressions, profile views, likes and shares. The more active users are with your social content, the more likely they’ll continue to follow and trust your brand. Marketers know the importance of a well-engaged audience. In fact, a 2015 TrustRadius report discovered 61% of marketers agreed audience size was the the most important metric to measure social media marketing effectiveness. There’s so much that goes into building an engaged audience on social media. It takes great content, attention-grabbing visuals or details and subject matter that’s original and fully entices readers to go forward. Does Your Content Pique Curiosity? 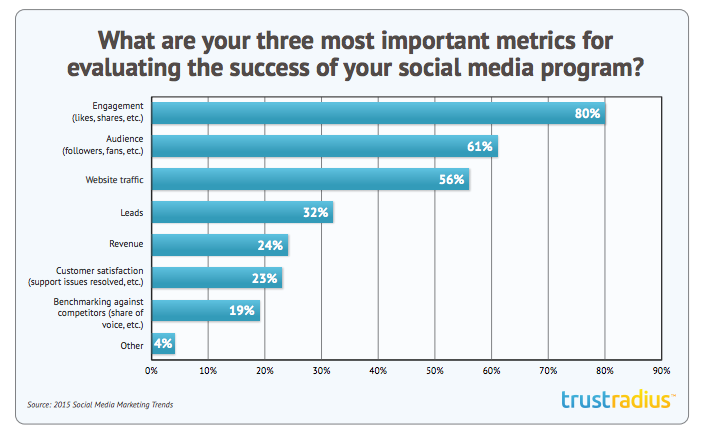 Marketers often rely on social media to get users from point A to point B. This means social media posts have to engage users and make them want to read or learn more. You often can’t rely on 140 characters to fully explain one of your marketing landing pages. However, you can direct users to these pages with engaging illustrations, videos and Tweets that have a call to action. These phrases should focus on the results. Don’t be ambiguous with what users will see if they click on your link. Instead, you have to pique curiosity by making a promise or highlighting a subject they might not know a lot about. Levis does this with its Instagram by showcasing its women’s commuter shorts. As a brand on social media, you have to keep the attention of your audience, but also drive them to where you want them to go. You can also do this by creating excitement on social media. Running contests, user-generated content and other social media sharing campaigns can seriously pay off. Building excitement can get your audience to engage with your content. It’s important to ask yourself this question regularly. What makes you stand out in the crowd? If your content is the same as everyone else in your industry, what’s going to push you above the rest? You don’t have to surprise or shock your audience to get them to engage. Stick to your brand’s main message and identity. People always relate with truthfulness and like-minded content that resonates. Finding the balance between amicable and unique content can be challenging. However, it always pays to be engaging and create posts that ask questions, inherit a response or highlight an individual. Focusing on engaging posts will not only make you unique but build a better connection between your brand and those who follow you. If you’re posting content about gardening tips, but run social media for a coffee shop, you’re obviously not hitting the right audience. Even if the content is helpful, fresh and enticing, you still need to stick to your industry. There are plenty of angles you can take if you’re considered to be in a “boring industry.” If you need any helpful tips, do some social media competitive research to find out what they’re posting. Like we mentioned before, you need to be unique. So don’t simply post the same content and hope for similar results. Try to build your audience engagement by posting unique content that most readers would expect. There’s a way to spark interest and still be on topic. After you’ve asked the questions above, you need to know how to boost engagement on each social network. Every social media channel works in its own way, which can get confusing for some marketers. Social Media Examiner’s 2016 Social Media Marketing Industry Report discovered 86% of marketers are confused on how to find their target audience through social media. While it might seem simple enough to post creative content to resolve targeting, you actually need to be relevant and post for the right audience. With more than 500 million Tweets per second and the fact that less than 50% of users login to Twitter daily means you should aim to strike gold regularly on the network. Twitter is known for its free-flow of communication, which means you have a huge opportunity to engage. The speed of Twitter doesn’t have to be gloom and doom. Instead, use Twitter’s speed to get your point across more effectively at the right times. Maintaining engagement is always a great way to never let the conversation sour. 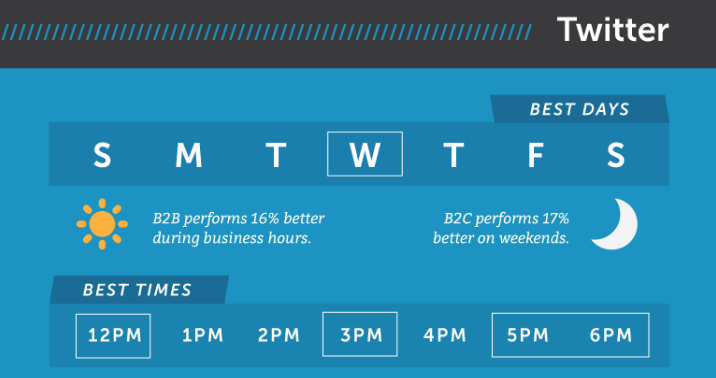 According to a Co-Schedule report, the best times to post for maximum engagement are noon, 3 p.m. and 5 p.m. to 6 p.m. Setting a schedule to post at those exact times can be tricky. 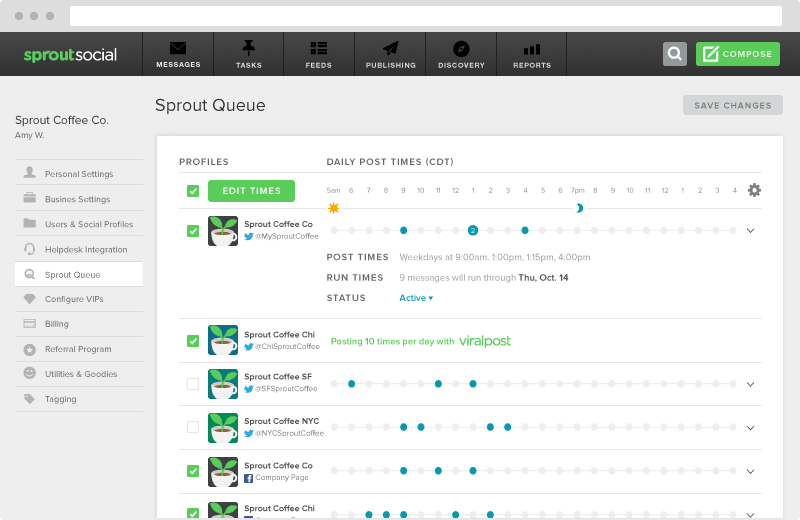 But with Sprout Social’s intuitive ViralPost feature, you can simply schedule a post to publish based on when your most engaged readers are present. Take the guesswork out of when to publish and let ViralPost do the work for you. Approximately half-of-a-billion people watch 100 million hours of video on Facebook every single day. With those kinds of numbers, it’s clear why so many businesses see success with audience engagement and building with video. According to Gary Vaynerchuk, Facebook puts significantly more weight on video content through its Newsfeed algorithm so followers have a better chance to view. Facebook is the ultimate video network for marketers and there’s no reason why any of your video content shouldn’t exist here. If you don’t have a large video or product team, think of other ways you can focus on engaging your audience with video content. In fact, numerous brands have noted at least 85% of their videos are viewed without sound. Hipmunk does a great job at creating Facebook videos that show you the new way to search for hotels on it’s site. You don’t need sound and it’s visuals would catch most scrolling through their Newsfeed. People want to view your content and get onto the next. So it’s critical to keep users around with the visual medium. Try uploading videos from Instagram so you can style, edit and better present your content on Facebook. There’s no doubt that Instagram is all about the visuals. With the newest Instagram feature called Stories, more people are turning visual even in the way they chat. Because you can only link in your bio, it makes it hard to get your audience to your marketing pages. You have to get creative with this social network over almost all the others. Colors play a big part in marketing your products or services. 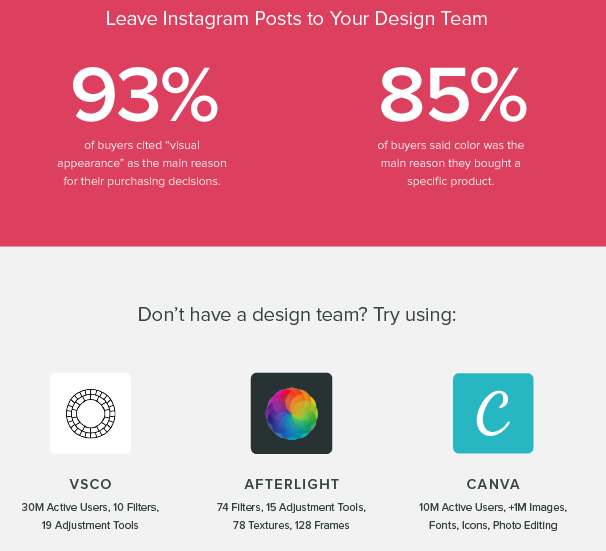 In our Instagram best practices infographic, we highlighted how 93% of buyers noted “visual appearance” as the main reason for making a purchasing decision. This same approach should go for engaging your audience. Visual content is more likely to be clicked and shared. Additionally, you want to ensure your Instagram captions are just as to the point as your Tweets. Captions are what drives your audience to answer questions, share your post or leave a comment. Just remember to always refer back to your Instagram bio for the link. Known as the biggest community of professionals, LinkedIn is a venue many marketers look to when building an audience. LinkedIn is a great space for businesses to promote their evergreen content and get groups back to your page. LinkedIn is about bringing people together in groups who might be looking for the same content. Your brand can excel by posting relevant industry content in areas where it fits. 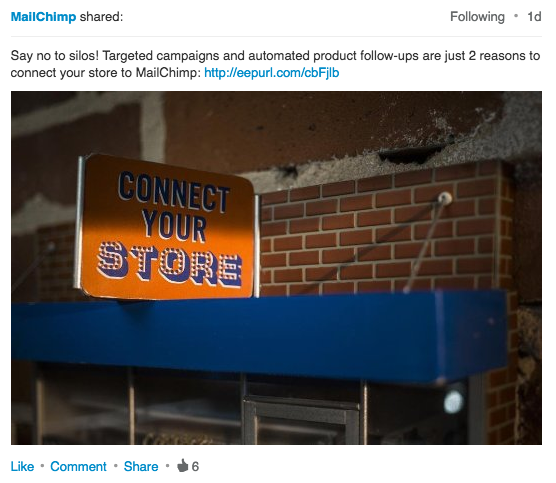 Although LinkedIn can be great for lead generation, remember not to be spammy with your content. Like every social network, engagement is a two-way street. You have to participate, communicate and give feedback to get others interested in your brand. However, using LinkedIn to publish content a great way to grow your business. Additionally, LinkedIn content can be indexed just like your blog. This means you want to focus on SEO basics for social media. Ensure you have the proper links directed back to your site and that you have optimized your content to target specific keywords. This will help you get your LinkedIn content ranking on search engines, so never discount SEO on this social network. After determining your content strategy and best social media channel to engage, you need to measure how well your content performs. Measuring audience engagement can be done on several native platforms, but their social media analytics only dive so far. At the same time, features like Facebook analytics tools show audience growth rates to measure your different campaigns and peak engagement times. Don’t just rely on vanity metrics like shares and likes. Dig deeper into audience growth patterns and see what content is working successfully. Engaging your audience can bring a lot of challenges to your brand. But this shouldn’t deter you from wanting real social media audience engagement. By analyzing your content, post times and publishing habits, you’ll discover what works and what needs improvement.